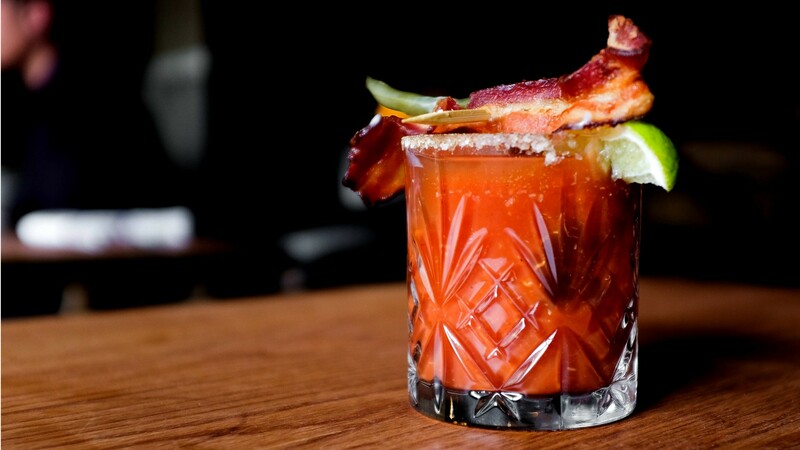 Amp up your Easter brunch beverage offerings with Bannock’s Caesar recipe. It’s rimmed in bacon, brown sugar and maple syrup, making the iconic Canadian cocktail even more patriotic. Rim a glass with maple syrup. Dip in crumbled bacon and brown sugar rimmer. Over ice, add Smirnoff vodka, dash of Worcestershire, lime juice, hot sauce and Walter Craft Caesar Mix. Stir to mix. Garnish with pickled veg skewer, lime wedge and strip of bacon.